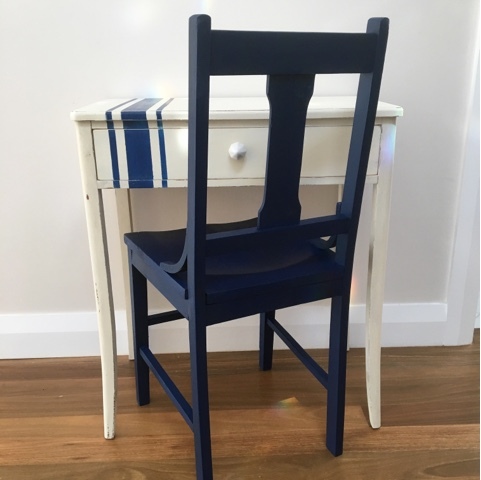 Lilyfield Life: Crushing on Navy furniture! 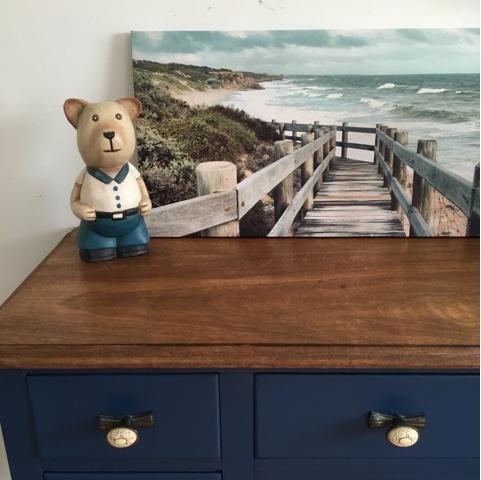 I have fallen in love with navy - well I have always been a fan of navy blue but I'm now officially in love with navy blue paint. 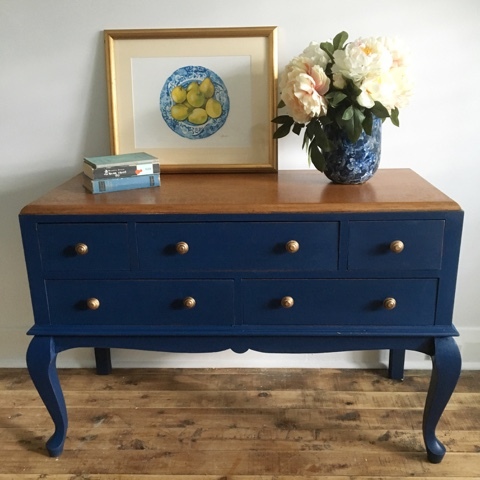 Recently I've been using a Dulux colour (which I've forgotten the name of and can't check as I'm on holidays) and also ASCP Napoleonic Blue. I love it paired with a natural timber top. I love sanding back old timber and refinishing it. This is a such an old piece but wears its age well now after a little rehab in my furniture studio. 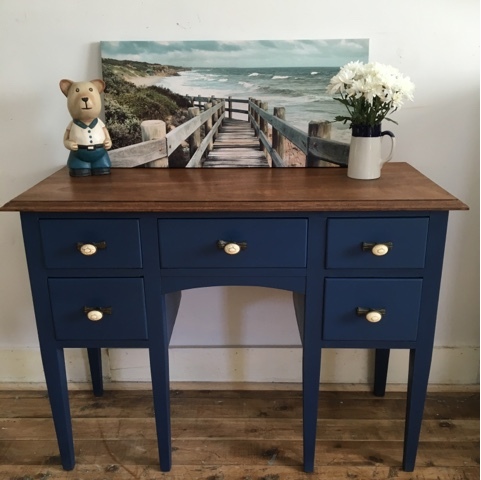 Beautiful timber top and deep base navy with light distressing. I've even given the handles a little European gilt finish. There are three fine scratches in the timber top that were too deep to sand out but they don't detract, just think of them as wrinkles or better yet laugh lines. 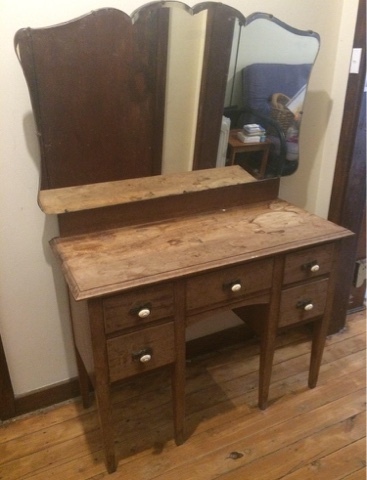 Great piece for a dressing table, change table, hallway, sideboard. The below piece is similar and sold already. I've included the before photo which just shows the magic of paint and elbow grease. 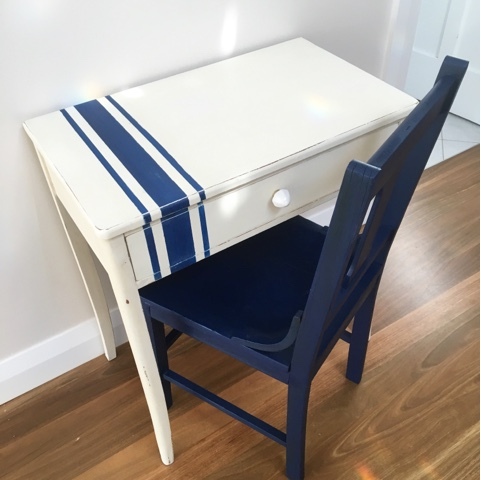 Have you any navy furniture? Sorry if the formatting is weird in this post. 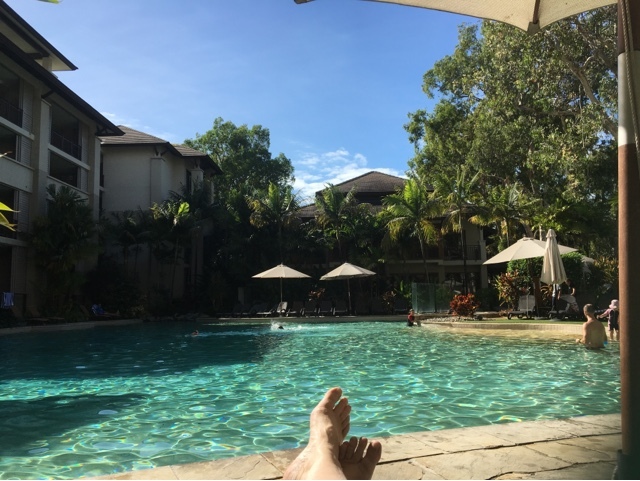 I'm blogging from my iPhone lying by the pool in Palm Cove. Just divine. 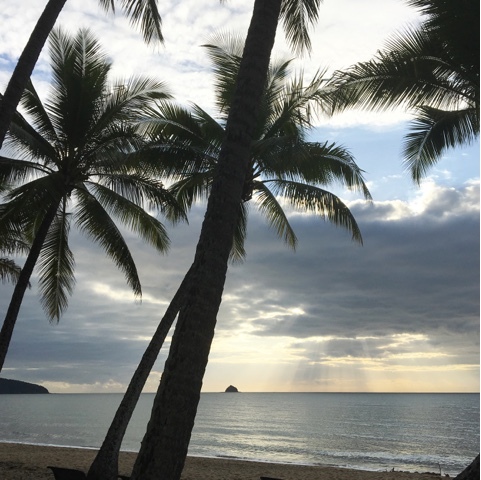 And a photo from our walk this morning - so serene. Good to relax. 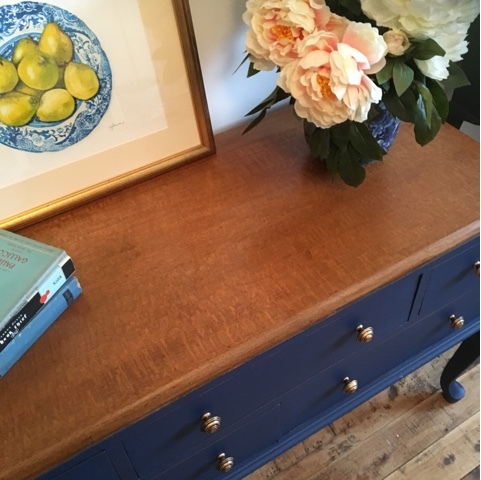 I just finished my first piece in Napoleonic Blue and it's gorgeous! 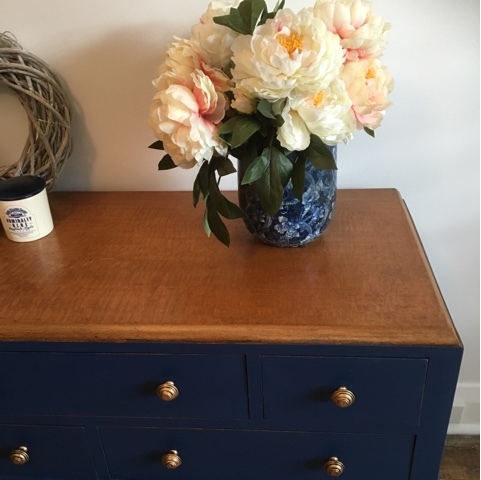 I am planning on painting my bathroom vanity in it too, as well as a drop-leaf console table.